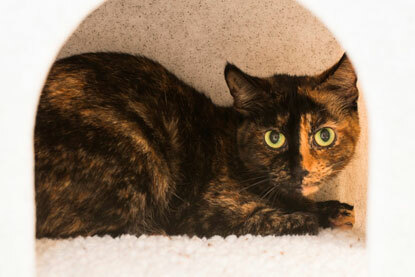 Three cats have been dumped in Bridgend, Wales in just two weeks, prompting Cats Protection’s Bridgend Adoption Centre to urge locals not to abandon their pets. The first incident involved two 10-month old cats found by bikers off-roading on the common in Bryncethin. 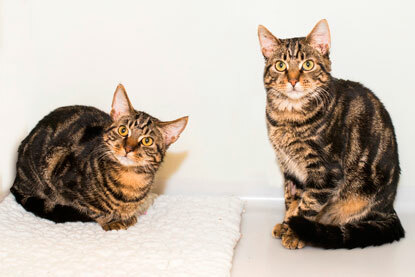 The moggies, now named Harley and Davidson, had been left in a cat carrier and were very hungry but in an otherwise good condition. The second incident involved a five-year old cat who had been left in a box by the side of the road in Rockwell. The poor kitty had managed to escape from the container but had become tangled in a towel when a driver spotted her. When he freed her she then ran underneath his vehicle, but a passer-by helped to catch her. The cat has now been named Chicken, as her rescuer was transporting chickens at the time. He placed her in a separate compartment within the birds’ cage to bring her to Cats Protection’s Bridgend Adoption Centre where she is now recovering from her ordeal. Sue urges those who can no longer care for their cats to bring them to the centre rather than dumping them to fend for themselves. “Although we have a waiting list, we do prioritise urgent cases and will work with the owners to resolve the situation ASAP,” said Sue. “Stray cats take longer to admit as they have to be advertised in the area first and paper collars put on them to ensure that they are not owned. Cats Protection’s Bridgend Adoption Centre is currently working in partnership with the RSPCA to offer a £5 neutering and microchipping scheme to people on low incomes. To find out if a neutering scheme is happening in your area or to enquire about neutering vouchers, please call our neutering helpline 03000 12 12 12 or visit our website. Harley, Davidson and Chicken will be available for adoption soon, if you would like to enquire about them, please call the centre on 01656 724 396. To look for cats available for adoption in your area, please visit the Cats Protection website.